Dan Mullen and his Gator staff are rapidly gaining traction with their 2019 recruiting class. Consensus four star athlete Diwun Black (Forest, MS) has pulled an inverse Matt Corral, decommitting from Mississippi and flipping to Florida. And he announced the decision in a truly epic way. Black also had offers from USC, Tennessee, Mississippi State and Arkansas. 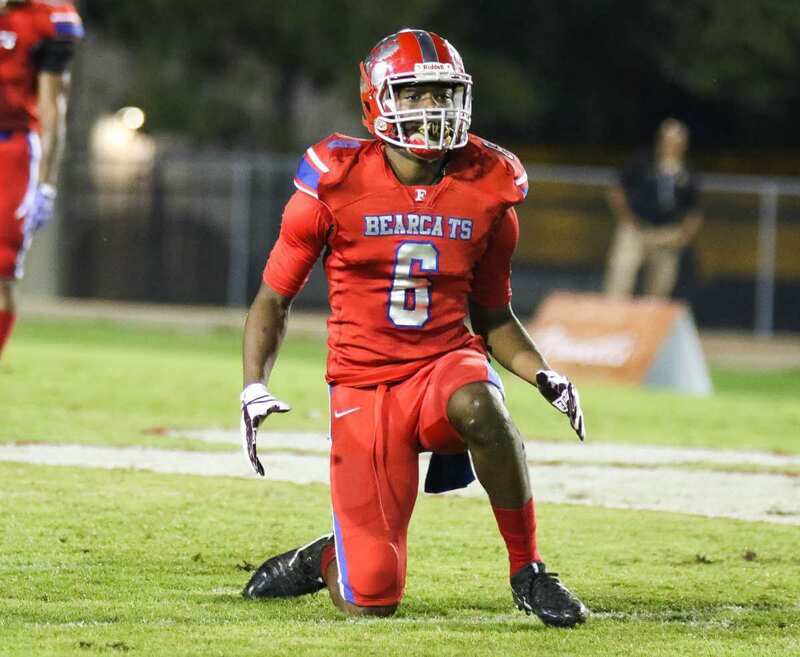 He’d built a great relationship with Mullen as well as Florida assistants Greg Knox and Christian Robinson before coming to Friday Night Lights as a Rebel commit, as he was once committed to Mullen’s program at Mississippi State. He decommitted from MSU in March, three months after Mullen left Starkville and pledged to rival Mississippi. But Mullen maintained his relationship with him enough to bring him to FNL, and the camp convinced him to make the flip, a decision that he likely came to during or immediately after the event but that he kept silent until now. Though Black plays on both sides of the ball in high school, he best projects as a linebacker at the next level. And Florida is going to have a big need there once Vosean Joseph and the elder David Reese leave, either after this season or next season. So this wasn’t just a bragging point over Mississippi; this was a big time get. Black’s announcement makes an already sweet day for Florida even sweeter. About an hour before he declared his intentions to be a Gator, the NCAA ruled that wide receiver transfers Trevon Grimes and Van Jefferson were immediately eligible to play in 2018. Florida now has twelve commits for the class of 2019, one quarter of which pulled the trigger since Friday Night Lights. Keep it rolling, Dan & Co.